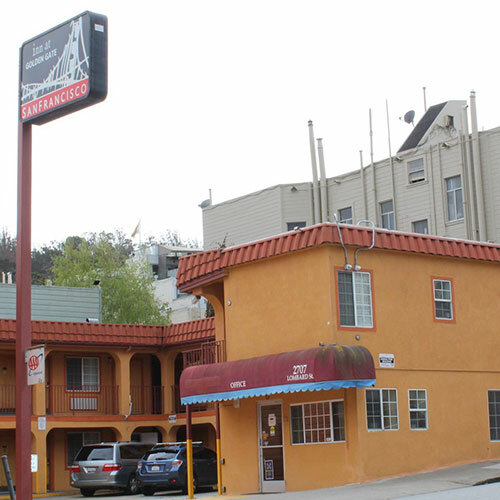 This modest lodging is located just a half block from the entrance to the Presidio. Clear, pink glass nightstands add a pop of fun color to the stylish guest rooms. Smoke free premises. 23 units. 2 stories (no elevator), exterior corridors. Between Lyon and Baker sts. 2707 Lombard St 94123.